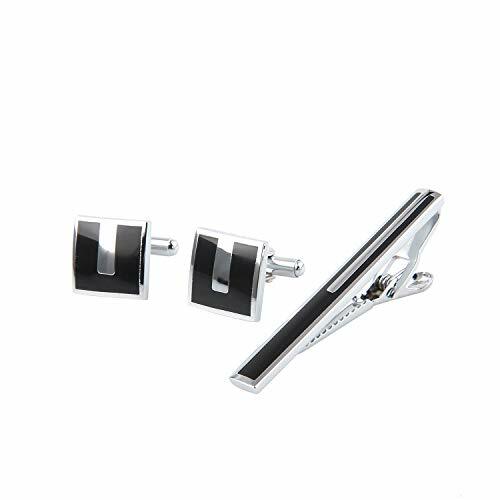 Cufflinks and tie clip,economical jewelry set for men.These sets are allergy free, nickel-free and lead-free, wear it rest assured,simple and elegant .Perfect for many occasions such as weddings, anniversaries, office, meetings, proms. Material :Made of high quality copper,dressy and durable, longer wearing time, closure is easy to put on and take off . Design:These infinity cufflinks and tie clip sets are the perfect addition to any ensemble，high polished by hands,make you be the focus.